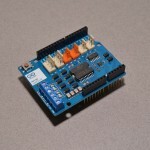 Arduino is the most popular open source microcontroller platform on the market. These easy to program devices can read sensors, control relays, light up LEDs, and even talk to one another. Their ability to interact with the real world by way of sensors and other electronics makes them ideal for automation such as watering a plant when it is dry, reading the weather, or controlling lights when it gets dark – the possibilities are endless. 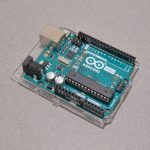 We carry a variety of Arduino compatible microcontrollers from several manufacturers, each with their own specific strengths and purposes. 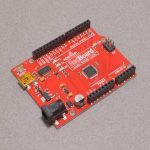 To further specialize your microcontroller, we carry a large selection of daughter boards (shields) which can add powerful sensors, GPS, or even LCD screens to your project! 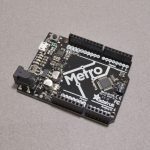 Just getting started with microcontrollers? 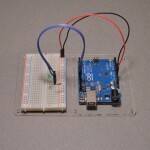 We carry a variety of Arduino starter kits to get you reading sensors and blinking lights as easily as quickly as possible!